Two tracks of advanced techno transmissions from the one and only Surgeon. 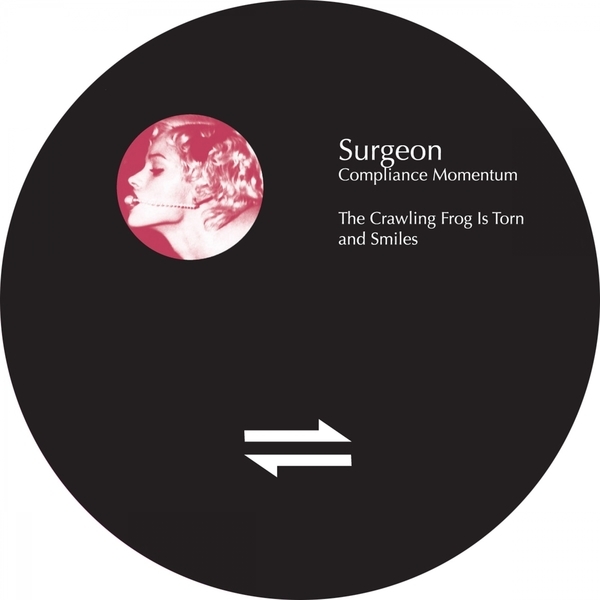 'Compliance Momentum' is the first new Surgeon release in three years (not counting the "live" release 'Hello Oslo'), making an assuredly solid return to the scene with two pure and incremental progressions of his legendary style. 'Compliance Momentum' bravely shows his ability to draw in outside influences while remaining resolutely techno. He fires off an intricately shaking pattern of sliding Afro-latin syncopations swung around the all important kicks while even incorporating Theo-styled midnight chords buried deep at its core. With 'The Crawling Frog Is Torn And Smiles' he gives one of his most minimal cuts in memory, revolving around deeply laid subs and efficiently pounding percussion layered with bleeping melodies reminding of Traversable Wormhole records or Mills' recent SITS 12".